I have been wanting to try making homemade Red Lobster biscuits (also known as Red Lobster Cheddar Bay Biscuits) for a long time. I thought they would be hard to make, but they are actually very easy to make! 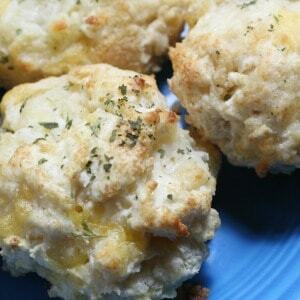 If you make the Bisquick mix ahead of time, these cheese biscuits only take a few minutes to make. *Note: You can use store-bought or homemade Bisquick mix for this recipe. In a medium sized bowl mix together Bisquick, milk, and grated cheese. Use an ice cream scoop to place the biscuits on a greased cookie sheet. Bake for about 10 minutes, or until golden brown. While biscuits are baking, melt 2 tbsp. butter in the microwave and then stir in 1 tbsp. garlic powder, 1 tsp. dried parsley, 1/2 tsp. onion powder. When you remove the biscuits from the oven, immediately brush the melted butter mixture on the biscuits until well coated. Make sure you use real butter for this recipe and not margarine. Trust me, there is a HUGE difference in the flavor and butter is better for you anyway! 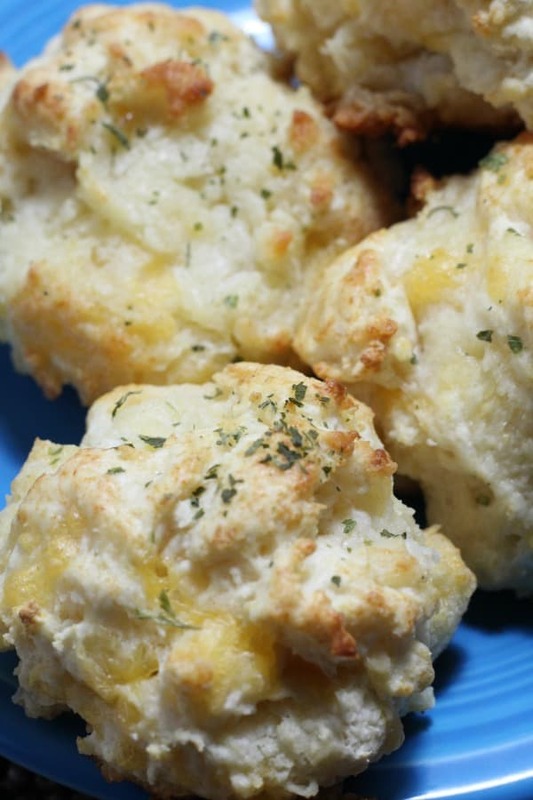 These biscuits are really, really good, and they really are as good as Red Lobster Cheddar Bay Biscuits. It’s hard to eat just one! 2 Comments on "Red Lobster Biscuits"
I can hardly believe how few ingredients it takes to make red lobster biscuits. Thank you so much for sharing.